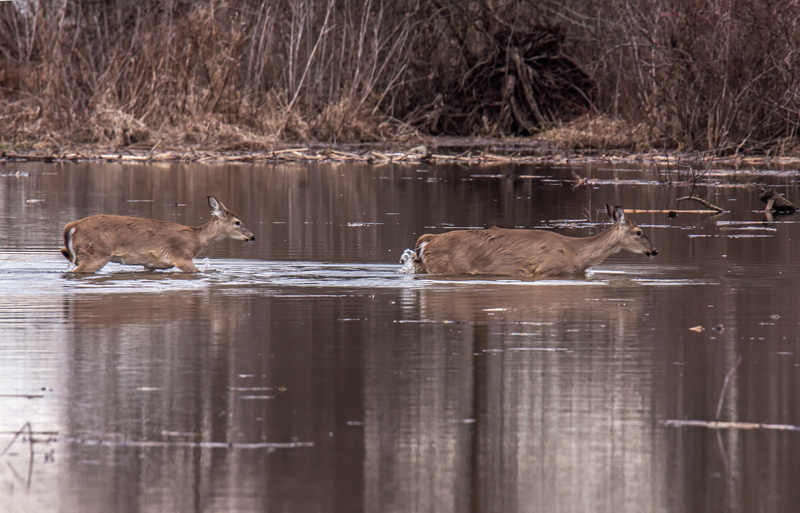 Yesterday I was thrilled to observe a group of White-tailed Deer (Odocoileus virginianus) fording a stream at Occoquan Bay National Wildlife Refuge. 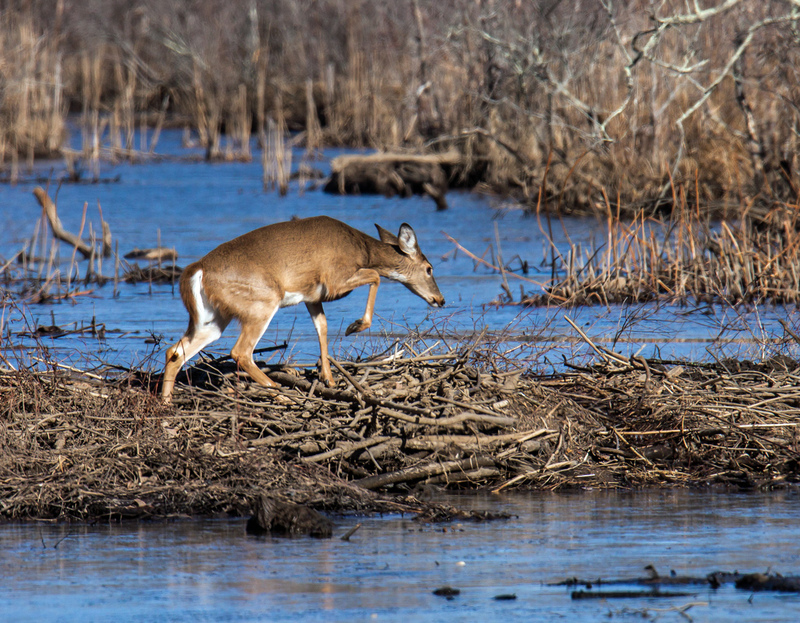 The activity level of all kinds of creatures seems to be picking up as we move closer to or deeper into spring, depending on how you calculate the start of spring. 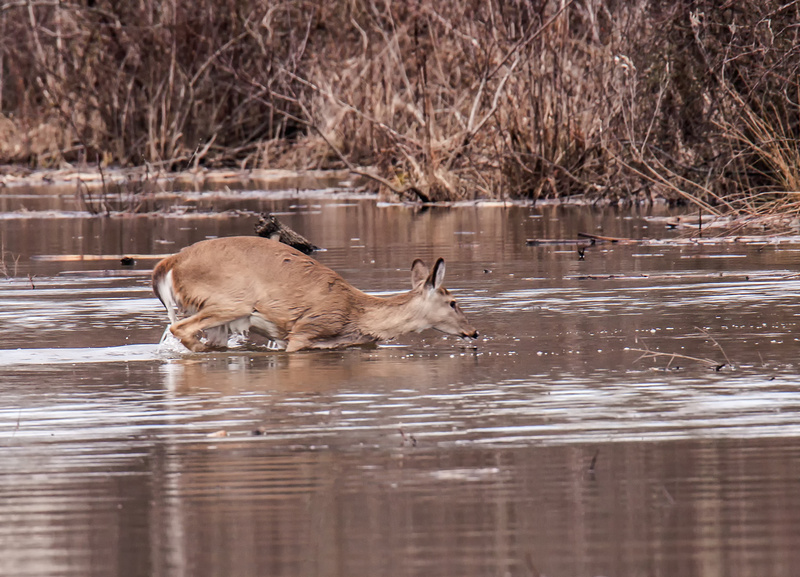 The bottom of the body of water they were crossing seemed to be uneven and the deer had to move carefully. 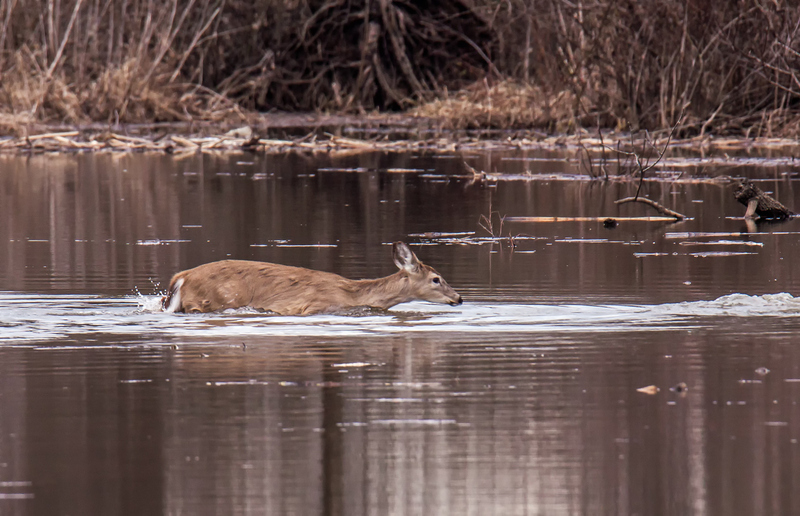 At one point it looked like they even had to swim a few steps, especially the smaller deer. As I watched the deer, I was reminded of the lyrics of one of the songs from The Sound of Music that included the words “ford every stream.” Folks of my generation may well remember the inspirational message of the song “Climb Every Mountain,” which I have included below, as found at metrolyrics.com. Here’s hoping that you will find your dreams, irrespective of whether or not it involves fording streams or climbing mountains. 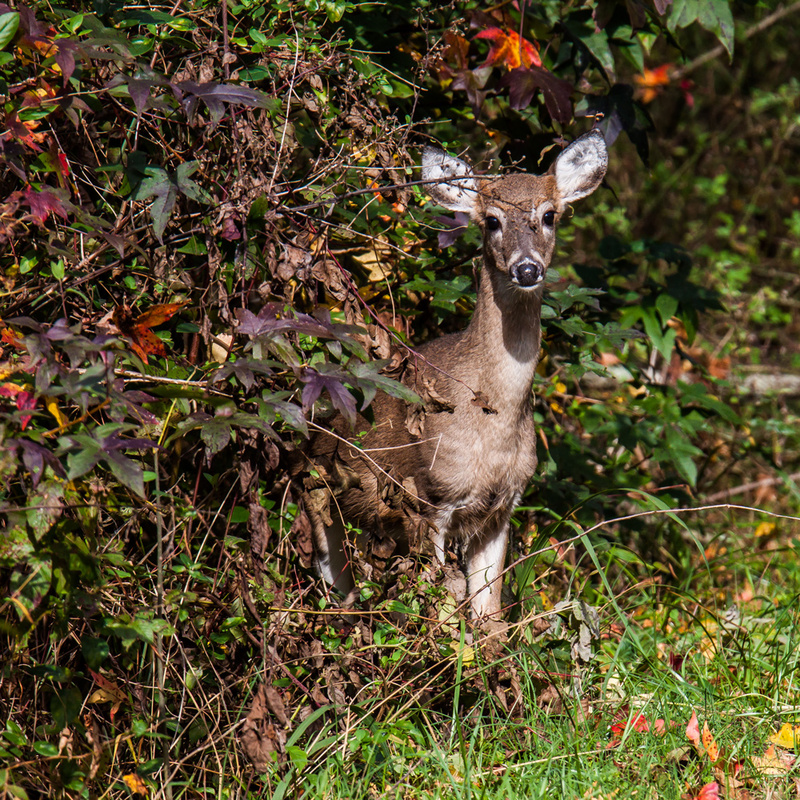 I spotted this curious little White-tailed Deer (Odocoileus virginianus) on Monday at Occoquan Bay National Wildlife Refuge. 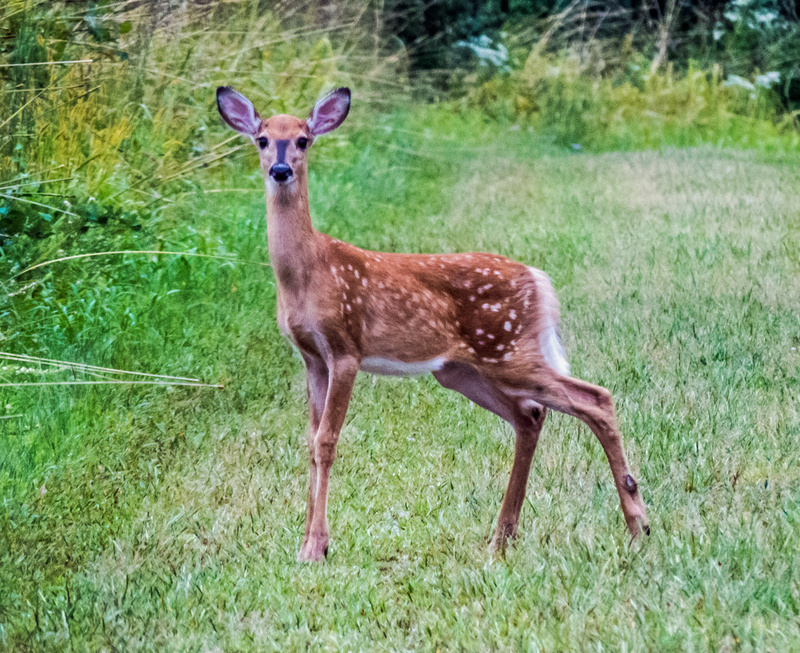 The deer appears to have moved out of the cute little Bambi phase and seemed more like a gawky adolescent to me (though I confess I know very little about deer development). I like the fact that you can still see some of its white spots, which look to be a little faded. 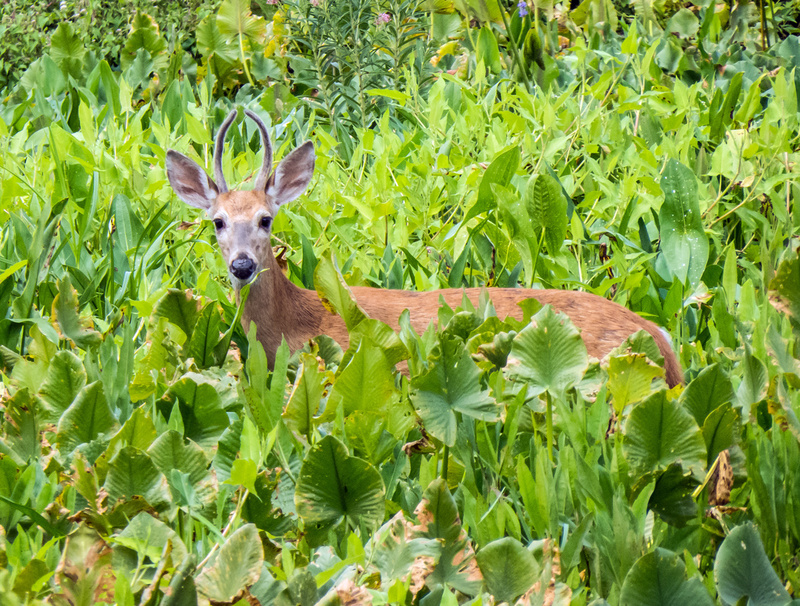 As I scanned a field this morning at Occoquan Bay National Wildlife Refuge, I suddenly became aware of a pair of eyes staring back at me from the high vegetation. 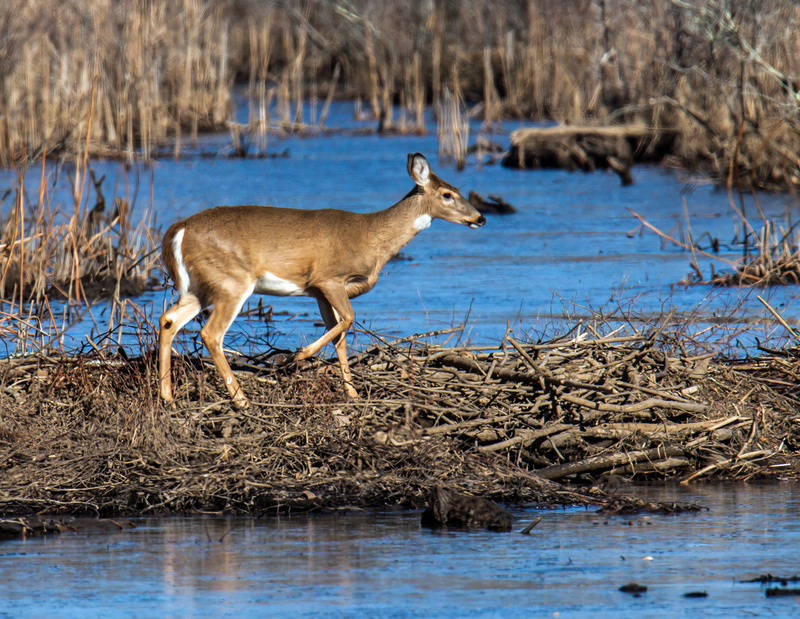 We shared a couple of moments of eye-to-eye contact before the handsome buck turned around and disappeared from sight. 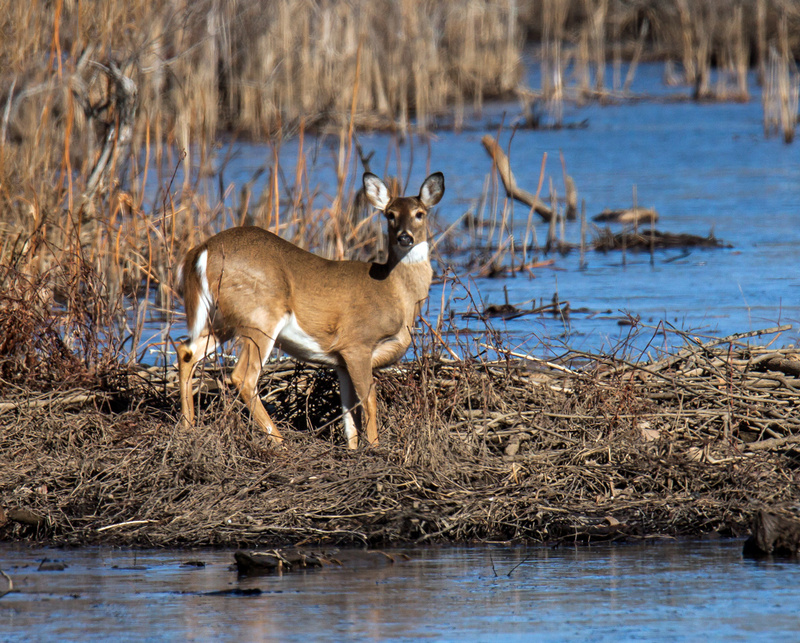 There is an overabundance of White-tailed Deer (Odocoileus virginianus) in our area and as part of an effort to maintain the deer herd at a healthy level compatible with planned habitat goals and objectives, the wildlife refuge will be closed for several days in December for deer hunting. 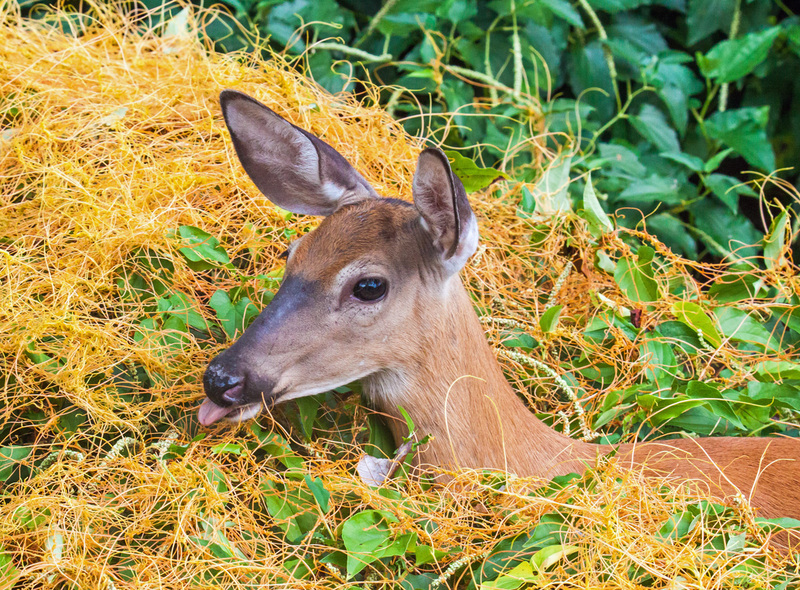 I know that topic of deer hunting is controversial to some, but the unfortunate alternative would be deer starving to death or being hit by cars as they seek to forage elsewhere. 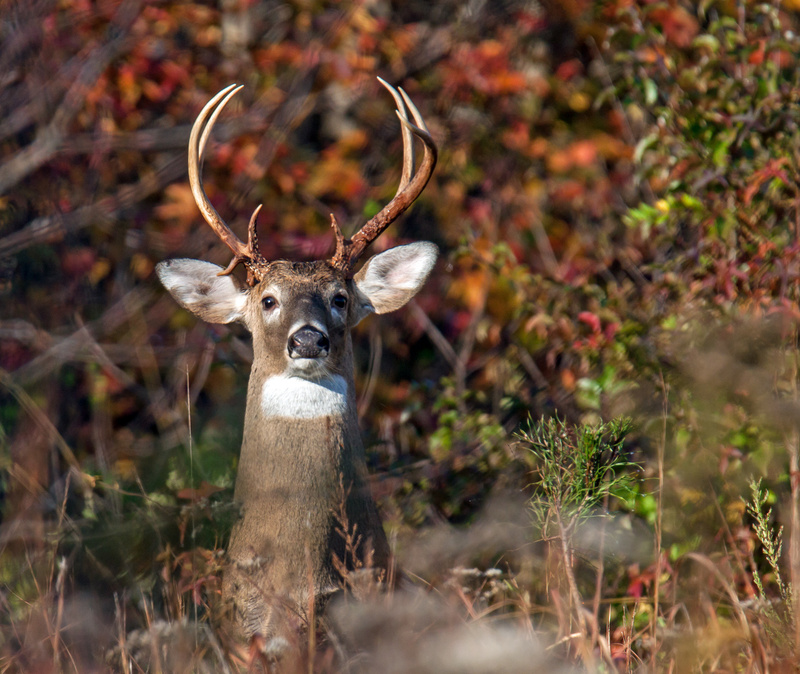 Still, it’s a little hard for me emotionally to look at this beautiful animal with the knowledge that someone else might soon be shooting at him with a gun rather than with a camera.